Dinner cost is on your own. Dinner cost on your own. to the Southern District of New York. **Please join FWN at a private meeting with Judge Schofield for a congratulatory meet, greet and conversation. ** This is a FREE event. 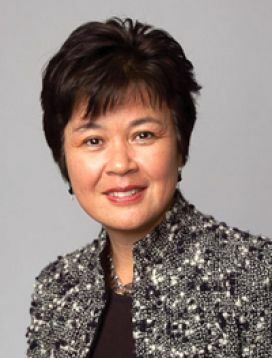 She is the first first Filipino American to serve as an Article III judge in American history. The U.S. Senate confirmed Schofield on December 13, 2012 in a 91-0 vote. She received her commission on December 13, 2012. President Obama nominated Schofield to serve as a U.S. District Judge for the Southern District of New York on April 25, 2012. She testified before the U.S. Senate Judciary Committee on June 6, 2012.
when we confirm your RSVP. After the Schofield meeting, join us for a group "KKB" dinner at Tribeca Grill, 375 Greenwich St. at the corner of Franklin Street, New York, to continue our networking. RSVP required.